Poor Chloe is an older dame who was found on a very cold morning…she was almost dead, and was under bags of rubbish in a ditch. Luckily a truck driver spotted her from the height of her cab, stopped and got her the help she needed. Despite what she has suffered, Chloe is a lovely gentle dog. She is very quiet and would suit an older family or a less active family as she is low energy and is happy to laze around for most of the day. She is happy to be taken for a few short walks during the day and will then just settle somewhere warm and comfortable. She is very good on the lead when out walking, and she is very very clean in the house. 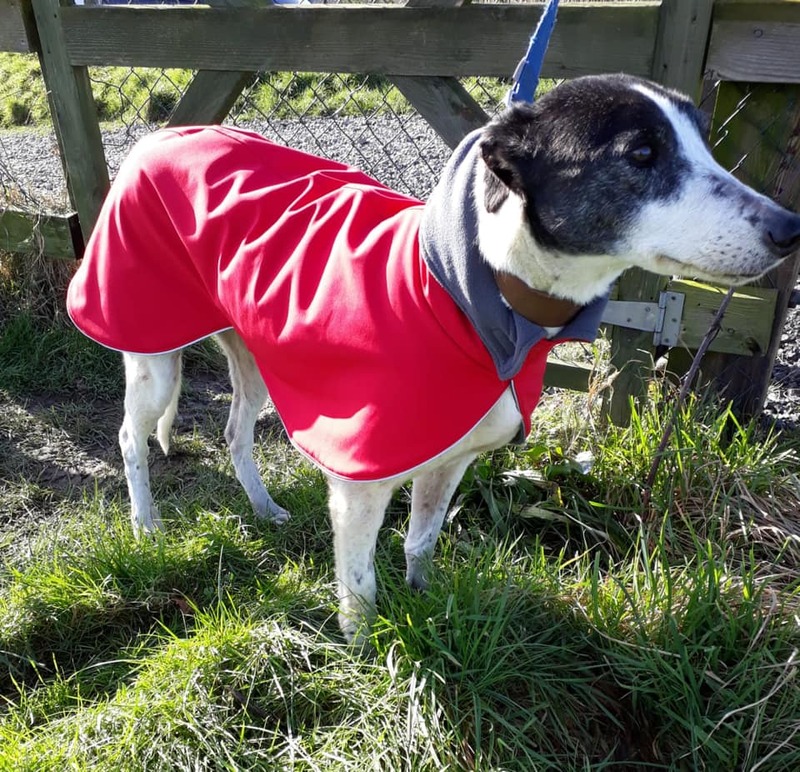 She now deserves a lovely home after what she has been through in her life….a soft warm bed and some love and attention would make her the happiest dog in the world. Chloe has been chipped and vaccinated but is still to thin for spay..this will be done when she gains weight. She is living at our shelter if you would like to meet her for adoption. With expressions of interest please email kwwspca@gmail.com or contact 0871279835(reasonable hours only please). We ask for a minimum donation of €150 to help cover our substantial veterinary costs, To complete an adoption a medal for her collar and a dog licence are required, and a home visit also applies..